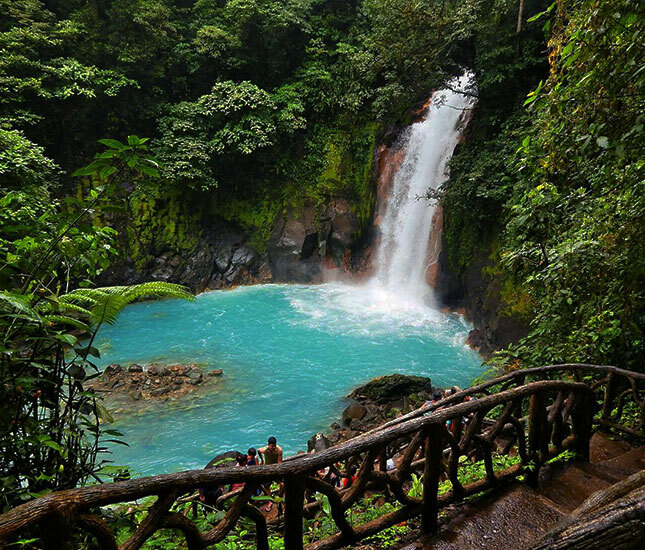 The Rio Celeste National Park is near the Tenorio and Miravalles Volcanoes and is becoming an increasingly popular area to visit in Costa Rica. 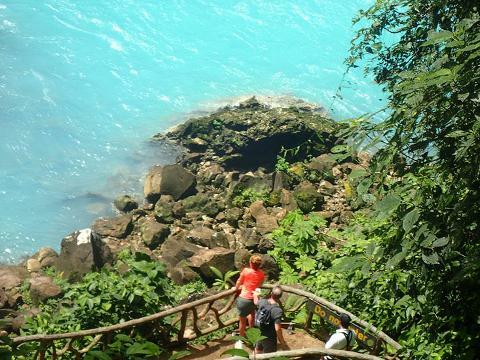 Once we arrive to the Rio Celeste National Park, you may use the facilities to get ready and look at the information booth provided by the Río Celeste National Park. 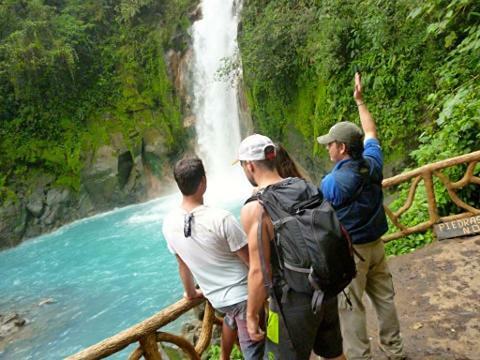 We will then begin a hike through the dense, lush, tropical rainforest that surrounds the Río Celeste National Park. The hike is approximately 3-miles long and considered intermediate. You and your naturalist guide go at your own pace and you'll learn interesting things about the rainforest along the way. We then arrive to "Los Teñíderos" where two rivers come together to form the celestial, turquoise blue water color that gives the waterfall its name "Celeste." 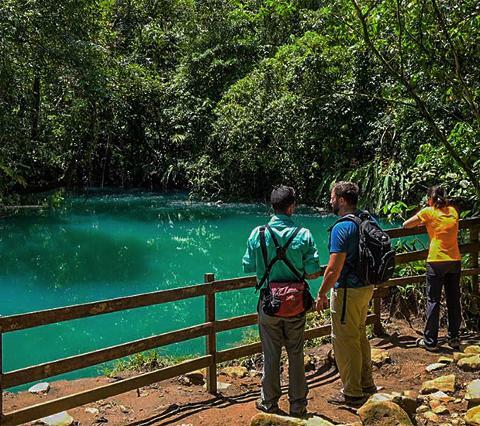 We'll return, walking back through the Rio Celeste National Park to the "Ollas" -- or mud baths -- and take a moment to relax in the natural hot springs. For the grand finale, we then walk-on further to see the spectacular Río Celeste waterfall - the perfect place to take photos. We finish off with a delicious lunch at a local restaurant and then head back to La Fortuna. 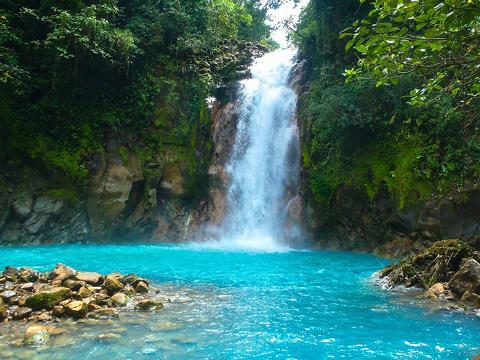 Please note: the Río Celeste waterfall may lose its blue color during rainstorms. Our policy is to advise clients the day of the tour if it is raining in the area and offer the tour for the following day, should clients want to postpone or change to a different tour. No refunds for inclement weather. What to bring: Secure shoes for hiking, clothes to get wet in, water, snack, a change of clothes and a sense of adventure.